In 2012, I gave my first full piano recital from memory in 19 years. In 2013, aged 34, I recorded my first pop cover on the piano. In 2015, I birthed my own compositional piano style and recorded an EP for the first time. The same year, I compiled and recorded Piano Portals - a radical, holistic daily practice for pianists which was over a decade in the making. I launched the books and audio at the Music Education Expo in London in 2016. I'm Stephen Marquiss, creator of Piano Portals. At the time of writing, in 2017, I feel satisfied with my piano playing. This feels like a miracle. I play expressively, easily and joyfully. I learn my chosen repertoire efficiently through flowing, fail-safe processes. I perform it confidently from memory. I credit Piano Portals with this transformation. Back in the 1990s, I received just about as much music education as is possible. I won a scholarship to a leading music school, before reading Music at Cambridge University. I explored the history of Western music in great detail, three times – an experience for which I’m grateful every day. I learnt piano repertoire that I cherish to this day. During my first few years at school, I won the prize for the highest exam mark and reached the final of an international piano competition. My teachers were caring and dedicated. I did everything they asked of me, and they called me an exemplary student. How, then, could my playing deteriorate to such an extent that I became the first A Level Music student at the school in living memory to sit a theoretical paper in place of a performance? I struggled with so-called Repetitive Strain Injury and mental blocks throughout my Fifth and Sixth Forms. I met with puzzled expressions from specialists, who tried diverse treatments. My self-esteem plummeted. When I left school, I felt like an empty shell, creatively. I felt disembodied as an artist and as a person. At university, I felt sick with jealousy watching musicians – particularly jazz players – who performed confidently and expressively. They were the opposite of me - and I longed to become them. After a while, the inspiring, protective bubble of Cambridge University invoked the beginning of a personal journey. I scoured libraries and the internet in search of answers. I investigated piano pedagogy, the ergonomics of playing, early years’ learning and peak performance practices. In my final year, I prioritised this quest over my coursework, to the chagrin of my tutors. Regarding piano pedagogy, I found multiple variations on similar themes. Approaches that seemed at first to differ widely revealed themselves to be underpinned by common fundamental principles and priorities. It proved difficult to find anything truly outside the box. That was until I stumbled upon the work of Abby Whiteside. At first, I couldn’t believe what I was reading. Over time, it blew my mind. I sought fresh solutions, and Whiteside's were daring, audacious, and miles outside the box of orthodoxy. I contacted the publishers to find out whether anyone was teaching according to her radical principles. As a result, I made several short trips to New York to study with Sophia Rosoff, co-editor of Whiteside’s writings and a former Whiteside student. This was my first step towards Piano Portals. In time, I questioned more and more long-held assumptions in piano playing. After university, I entered the real world with a jolt. There seemed no easy way to preach the gospel of a New Way to approach piano playing. I taught a few adult clients privately whilst seeking part-time work for sustenance. I had little notion back then just how far I was from integrating my discoveries into my own playing, teaching and being. 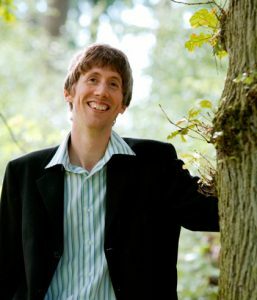 Over ten years, I developed a career in my native Somerset, England, as an accompanist, piano teacher, conductor, soloist, duo player, ensemble member and community project facilitator. My investigations into piano playing and pedagogy faded into the background for a while. On the face of it, I was fortunate. Friends and family were quick to remind me that I was doing what I love. But deep down lurked resentment, dissatisfaction and a sense of disconnect. After some time, I grudgingly acknowledged that I’d barely scraped the surface of the issues with my piano playing that stretched back to my school days. I knew I wouldn't move past these gnawing feelings until I could look in the mirror and see the expressive musician that I'd always dreamt of becoming. It was hard to extricate myself from the career that I was building. I performed regularly and collaborated with wonderful musicians - and they couldn't see what was wrong. The happier they all were with my playing, the more frustrated I grew. I reached a crisis moment. I left a gig and just drove and drove. I came face to face with how dissociated I'd felt since my mid-teens, as a musician and as a person. The only one that seemed to see it was me - so I'd be the one to find answers. If I were truly honest with myself, I’d reached a ceiling with my playing, and had remained there for some time. I had skills but also many difficulties. I'd developed a block about performing from memory. I could barely play Happy Birthday by ear. I felt uncomfortable in my posture. I felt disembodied as I played. This feeling spilled over into my life at large. When I hit 29, I began passing on my community work to others and refocusing on the piano. I was determined to become the musician I knew I could be. I hoped eventually to 'do something' with all of my informal research which could help others like me. I'd met many musicians who'd 'given up' - some who couldn't even face their instrument. I was determined to hang onto my passion and sort myself out. The music for Piano Portals emerged as early as 2008 and remains largely unchanged. But nothing could've prepared me for the journey of self-discovery that followed, through exploring, refining, recording and finally sharing the work. During that period, I was astounded by one revelation after another, not just in my piano playing, but also my general moving - walking, exercising, driving - and living. I reconnected with my body through deepening self-awareness. I became more focused, coordinated and confident. I became not just the musician but the expressive person that I'd dreamt of becoming. As with any life journey, the process is ongoing. But it feels very good! In my playing, technical difficulties dissolved as I refocused on fresh priorities. I've completely remodelled and reoriented my approach to practice, discarding a lot and gradually replacing unhelpful processes with effective new ones. 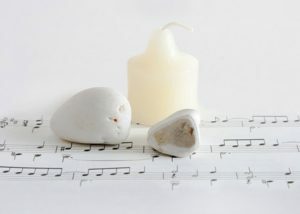 I can now honestly say that I enjoy every moment of my practice - it feels indulgent and invigorating. And that's not because I can suddenly do everything straight away, but, rather, because I trust in stimulating, fail-safe processes. I play the repertoire that I choose to my own satisfaction, which is my dream come true. Piano Portals is transforming the playing and the lives of a growing number of open-minded players and teachers. They're witnessing the power of fresh priorities as reward for their courage and spirit of adventure. 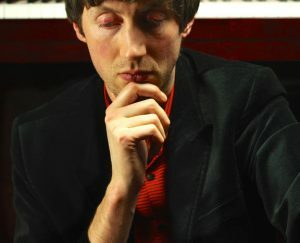 Piano Portals was born out of an adult journey - a tireless, compulsive quest. Yes, I've always had a strong affinity with music, but I wasn't a prodigy who could just do everything. Aged 29, I was still a long way from playing to my potential. I've now come into my own as an adult artist, by unexpected and gratifying means. I bring the perspective of this personal evolution to all of the Piano Portals resources. It’s a great privilege to live my own Piano Portals journey and to share in the journeys of others. Thanks for reading. Please be in touch and let me know about your journey. I passionately hope that Piano Portals will help you achieve your dreams. How can I have Piano Portals in my life? Full online courses coming soon! Please contact founder Stephen Marquiss with any questions or queries about Piano Portals. To buy the Piano Portals products – physical or electronic – please visit the shop. 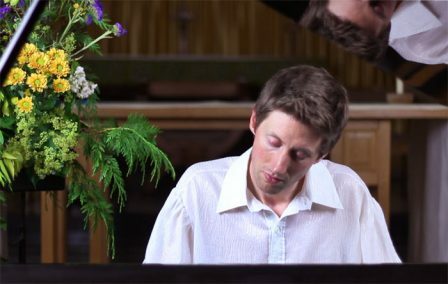 Find out more about how Piano Portals helps pianists. 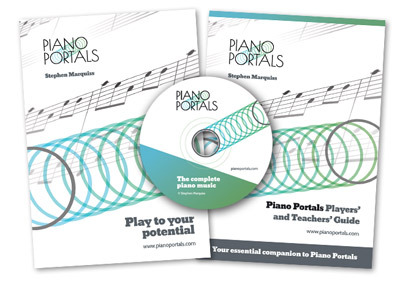 Find out more about what Piano Portals offers teachers.